At last, a food history-based cookbook that captures the spirit and the flavors of the cuisines that evolved in what is now the American Southwest! 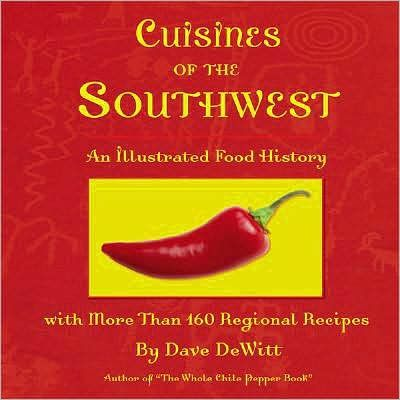 From southwestern Texas through New Mexico and on to Arizona, discover the Southwest�s culinary history, unique ingredients, and flavorful recipes. Filled with historical photos selected from museum and university archives, this book vividly portrays the cuisines of America�s spiciest region, from Tex-Mex to New Mexican to Sonoran, plus barbecue from all three sections. The recipes include many incarnations of enchiladas and chili con carne, plus unique specialties such as Julio's Salpic�n (a shredded beef brisket salad), Smoked Pork Mole Enchiladas, Pueblo Blue Corn-Chile Bread, and Pi�on Flan with Caramel Sauce.